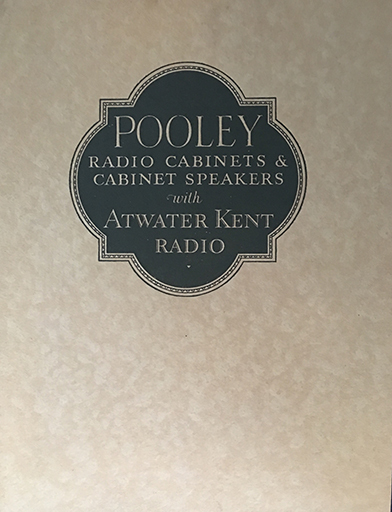 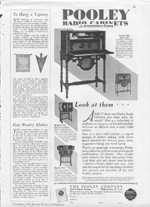 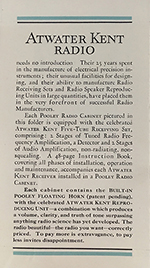 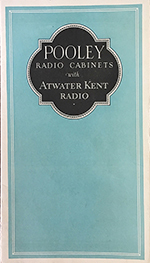 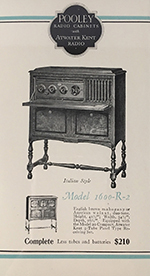 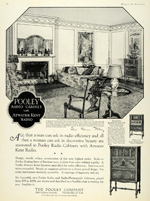 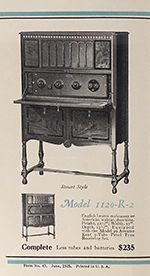 As early as 1926 furniture makers began producing radio cabinets that Atwater Kent radios would fit into. 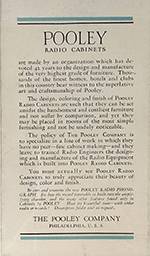 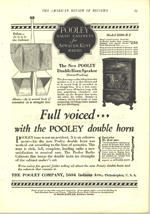 Popular among these were The Pooley Company and Red Lion Cabinet. 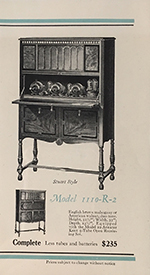 Often these added value as writing desks, tables, and bookcases as well as providing a housing for the radio, speaker, and sometimes batteries. 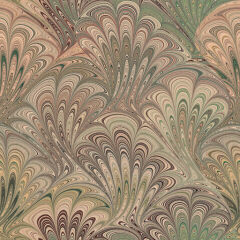 As I learn more and obtain more literature I will share it here with you.